Meredith (knee) has agreed to a reduced salary to remain with the Saints in 2019, Field Yates of ESPN reports. Analysis: Meredith was previously set to make $3.4 million in 2019, but that number will now drop to $1.3 million. 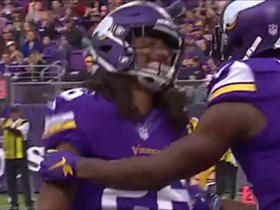 In the wake of a disappointing 2018 campaign in which the receiver played just six games thanks to knee injuries, Meredith was likely a candidate to be let go if he didn't accept the pay cut. Entering the draft, Meredith doesn't appear to be anything more than the potential No. 4 receiver in New Orleans behind Michael Thomas, Ted Ginn and Tre'Quan Smith. Meredith (knee) expects to be healthy for the start of OTAs in May, Josh Katzenstein of The New Orleans Times-Picayune reports. Meredith, who was placed on injured reserve Thursday, will undergo arthroscopic procedure to address the persistent swelling he has endured in his surgically-repaired left knee, Josh Katzenstein of The New Orleans Times-Picayune reports. Meredith will be placed on injured reserve by the Saints and will undergo arthroscopic knee surgery, Adam Schefter of ESPN reports. Meredith (knee) didn't participate in practice Wednesday. Analysis: Meredith has failed to draw a target for three consecutive games, averaging just 13.3 offensive snaps during that stretch. 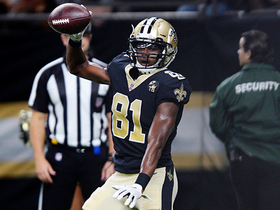 With the Saints' addition of Dez Bryant on Wednesday, Meredith is a candidate to plunge further in the pecking order at receiver within an offense that revolves around Michael Thomas and Alvin Kamara. Before he can figure out his new standing, though, Meredith will have to prove the health of his left knee. 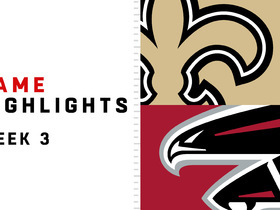 Meredith was not targeted in Sunday's win against the Rams. 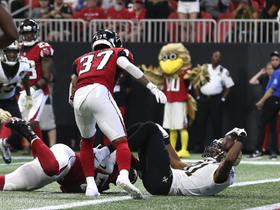 Analysis: This was the third week in a row that Meredith did not receive even a single target and he played just 13 of the Saints' 71 offensive snaps. With Tre'Quan Smith locked in as the team's No. 2 receiver and even Austin Carr (15 snaps) seeing more playing time than him, Meredith can probably be dropped in most formats. Meredith (knee) practiced fully Thursday. 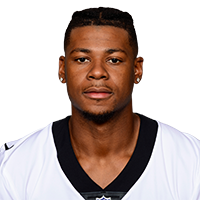 NFL Network's Ian Rapoport discuses details on New Orleans wide receiver Cameron Meredith's knee injury. Washington Redskins cornerback Fabian Moreau forces a fumble by New Orleans Saints wide receiver Cam Meredith, and linebacker Pernell McPhee returns it for a near-touchdown in Week 5 of the 2018 season. 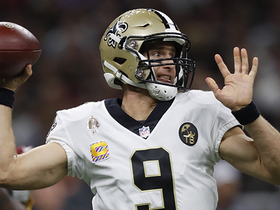 New Orleans Saints quarterback Drew Brees dials long distance to wide receiver Cam Meredith for 46 yards. 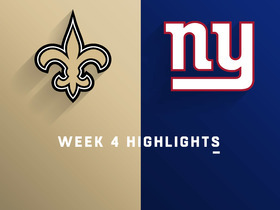 Watch the best plays from the Week 4 match up between the New Orleans Saints and the New York Giants. New Orleans Saints wide receiver Cameron Meredith busts through defenders into the end zone for touchdown. NFL Network Insider Ian Rapoport talks about the injury to Bears wide receiver Cameron Meredith. 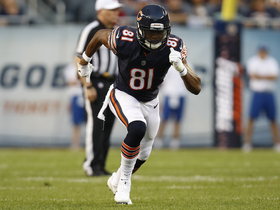 NFL Media Insider Ian Rapoport reports that Chicago Bears wide receiver Cameron Meredith is believed to have torn his ACL against the Tennessee Titans in Week 3. 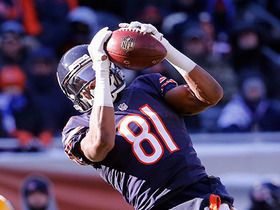 Chicago Bears QB Matt Barkley finds wide receiver Cameron Meredith for a 31-yard gain. 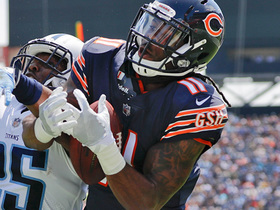 Chicago Bears QB Matt Barkley picked off by Minnesota Vikings corner back Trae Waynes.